As many of you already know, the Freedom Cafe is a wonderful and nurturing home for local musicians to share their art. Over the past several years, Bryan, Hannah and their hard-working volunteers have brought the community together in so many constructive ways around a critical cause: building awareness about and fighting the scourge of human trafficking. I’m writing to share with you a small way that I hope to give back to the Cafe this month with some help from you. 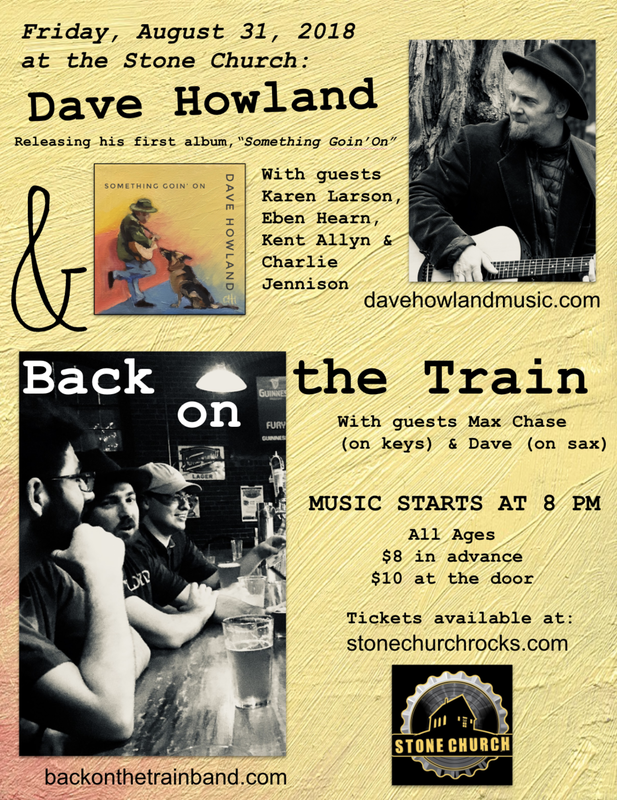 On Friday, August 31st, I’ll be releasing my first album and playing a show at the Stone Church in Newmarket. I’m going to bring 50 copies of my new CD and will give the proceeds from selling these ($500, if we can sell each of the $10 CDs) to the Cafe. The show starts at 8 p.m. It’s all ages and tickets – to help support my fellow musicians and the sound man – are available online here. If you’d like to know what you’re getting into musically, you can find some of my music and a little backyard promo video on my website: davehowlandmusic.com. It’s going to be a fun night to share a new collection of music: songs shaped in large part by the love and encouragement I’ve experienced on the stage at the Freedom Cafe – my musical home in Durham.